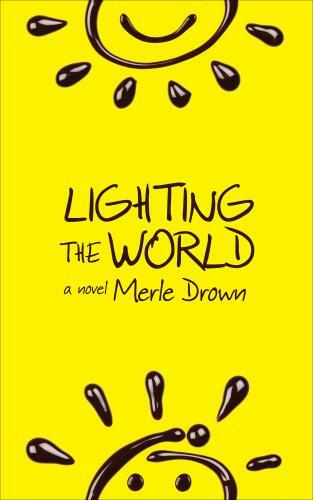 Our old friend Merle Drown joins us in the store to present his newest novel, Lighting the World. This dark yet moving portrait of two teens both escaping and creating violence delves deep into the teenage psyche. In the mid-1980s a student brought a shotgun to Concord N.H. High School, where Merle Drown taught, and took two hostages. In the aftermath conventional explanations, none of them accurate, smothered the boy’s death. A month later the Challenger blew up, killing its crew, including Concord High teacher Christa McAuliffe. That event overwhelmed the earlier tragedy, which was soon all but forgotten. Drown’s novel Lighting The World presents and gives meaning to an ordinary life gone horribly wrong. “If you have a gun, you don’t need a role model.” In the dark but compassionate novel, Lighting the World, by Merle Drown, these words are what sixteen-year-old Wade Rule pencils in for his starting sentence of Mr. B’s writing assignment, a reflective essay on the movie Shane. Wade is stuck in English class, stuck in a high school too big and too rich for him, and stuck in Rumford, New Hampshire, five times the size of Newfound, where he started and where he could just walk out from his backyard to do his favorite thing in the world: hunt game. It’s the fall of 1985. Teenagers are saving up for cigarettes and VCRs. A high-school diploma promises a decent job. But Wade can’t get a grip. He has trouble fitting in, and since the move three years back, his parents have turned hard and abusive. “People change. You can’t depend on them,” he adds to his essay. After making a friend who’s dealing with her own troubling domestic situation, Wade hatches a plan to get them both out of town. But as Drown makes clear, it’s not enough just to have good intentions, and sometimes it’s a dangerous indulgence to imagine yourself a savior. About the author: A native of Northern New England, Merle Drown has written stories, essays, plays, reviews, and two novels, Plowing Up a Snake and The Suburbs of Heaven. With John Cawelti he edited Meteor in the Madhouse, the posthumous novellas of Leon Forrest, published by Northwestern University Press in 2001. The Suburbs of Heaven, chosen by Barnes and Noble for its Discover Great New Writers series, has been given rave reviews by the New York Times, Newsday and other media. Pieces from a collection-in-progress, Shrunken Heads, miniature portraits of the famous among us, have appeared in Amoskeag, Meetinghouse, Night Train, The Kenyon Review, Rumble, Sub-Lit, Word Riot, Bound Off, JMWW, Eclectica, Toasted Cheese, Foliate Oak, SN Review, Bartleby Snopes, (Short) Fiction Collective; Short, Fast, and Deadly; Molotov Cocktail, and 971 Menu. Drown has received fellowships from the National Endowment for the Arts and the NH Arts Council. The father of three sons, he lives with his wife Teresa Ceballos in Concord, N.H. and Toronto. He teaches in Southern New Hampshire University’s M.F.A. program.